WASHINGTON, DISCTRICT OF COLUMBIA--(Marketwire - Feb. 21, 2013) - The Rotary Club of Londonderry in partnership with the University of Ulster's International Conflict Research Institute (INCORE) has confirmed their planned Global Peace Forum - which is poised to be one of the most significant events of its kind - is attracting strong interest from across the globe. This prestigious event is taking place in Derry-Londonderry 24-26 May 2013 and today the organisers urged those from Washington intending to attend to register immediately in order to avail of accommodation in the city which is also playing host to the BBC's Flagship pop music festival, over the same 'One Big Weekend'. As the first-ever Rotary peace conference to take place on the island of Ireland, the Global Peace Forum is one of four such events taking place throughout the world as part of the Rotary International Year of Peace Through Service. 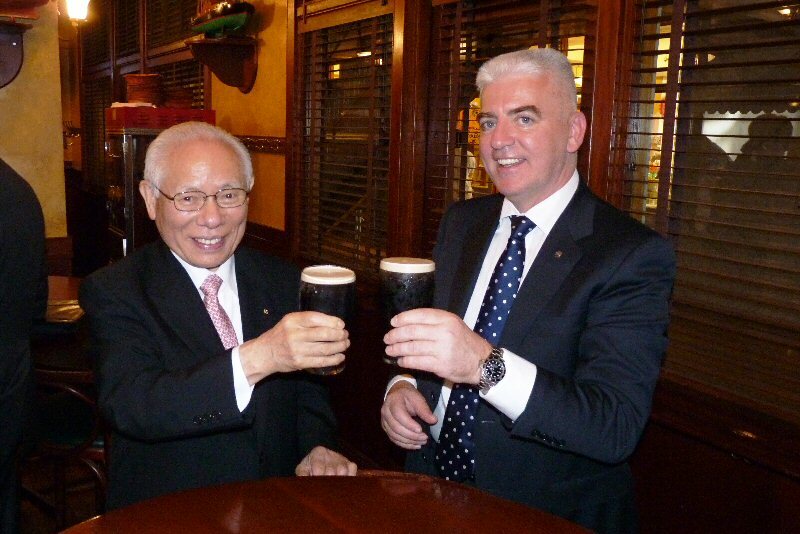 "We're honoured to host an event of this magnitude in Derry and are delighted to welcome Rotary International World President Mr Sakuji Tanaka to our city. "Working closely with our specialist partners INCORE we have developed a programme of events which are both informative and inspiring. We are confident that the high quality content of our conference will attract visitors both locally and further afield from Europe and America to the city." In what is already an exciting year for Derry-Londonderry, as the city celebrates its unique status of becoming the first ever UK City of Culture, the Global Peace Forum marks another momentous event in the activity calendar. The three-day programme will provide delegates with the opportunity to engage with local and international peacemakers, political, community and business leaders, in the context of the on-going culturally-led regeneration underway in Derry. Sessions on the Northern Irish peace process will offer delegates a unique opportunity to witness peace-building as it unfolds, with participation from many of those who have made and continue to make peace in Northern Ireland a reality. "I would urge anyone interested in attending our Global Peace Forum to register immediately and book their accommodation. Derry is also hosting BBC Radio 1's Big Weekend the same as our conference and so hotel rooms are at a premium. We've secured a number of rooms for delegates however these will be released to the public at the end of February." Rotary International World President Mr Sakuji Tanaka will officially open the event on Friday 24th May and speak again on Saturday 25th May. One of the highlights of the event is the Gala Ball which takes place on Saturday 25th May. The third day of the conference will provide delegates with the opportunity to gain a deeper understanding of peace-building tools and techniques via a series of workshops. Full details of the Global Peace Forum Derry-Londonderry can be accessed via http://www.peaceconference2013.com where people can register online and book for the conference and the Gala Ball. To view the photo associated with this press release, please visit the following link: http://www.marketwire.com/library/20130221-serious800.jpg.